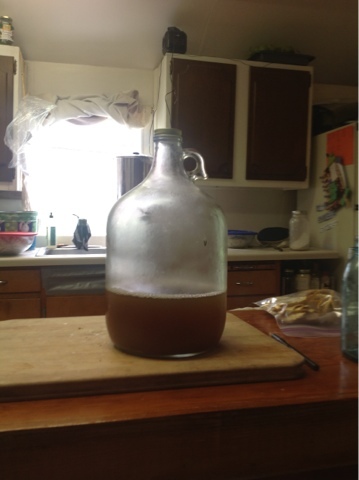 We made apple cider with our friends, Anne and Dennis, a week ago. 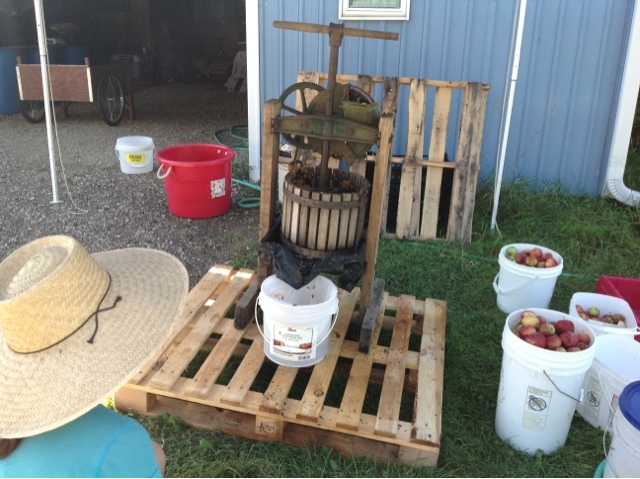 Greg David was kind enough to share his old fashioned press with us. Here is the photo documentary of the day. 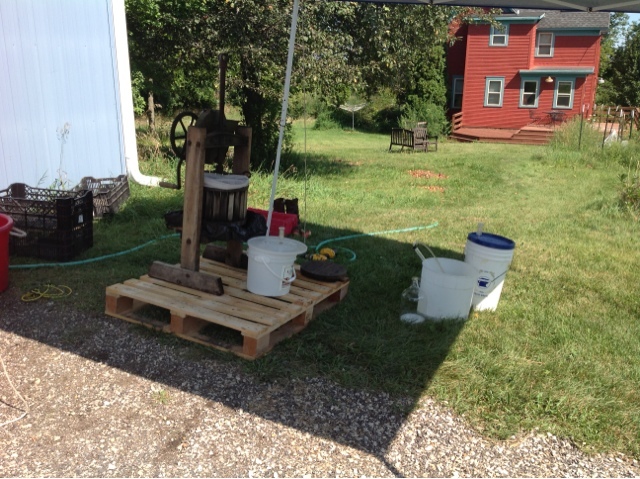 The press is washed and assembled under the market tent. Earlier in the week we picked apples from the tree at the back of this picture and the one to the left of it just out of view. 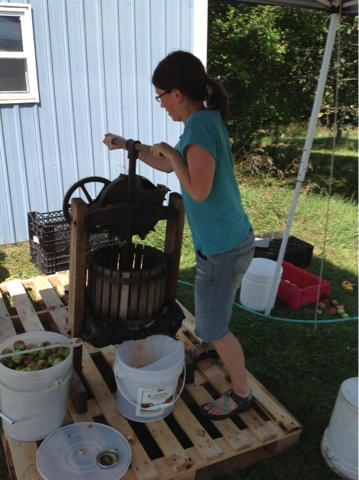 After grinding down the apples, we slowly pressed the juices out. If you look closely, you can see the first yellow jackets in the bucket. They loved the juice and there were way more around later in the day. Neal took his turn with the pressing. 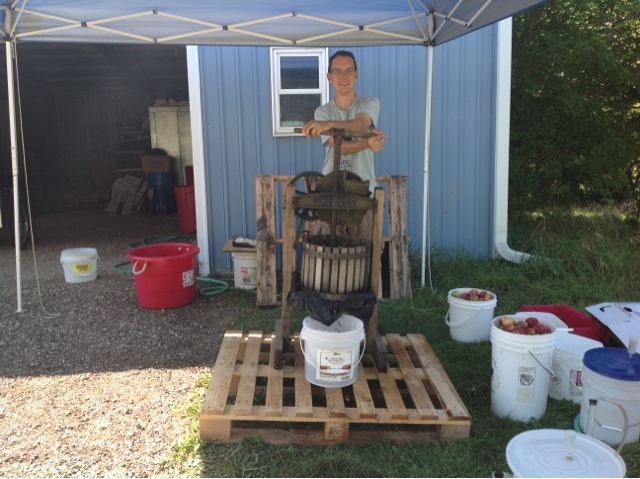 In the end, we had 4 gallons of fresh cider and 7 gallons that are fermenting into hard cider. Yum yum yum. This is all we have left.